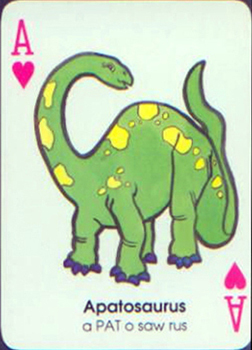 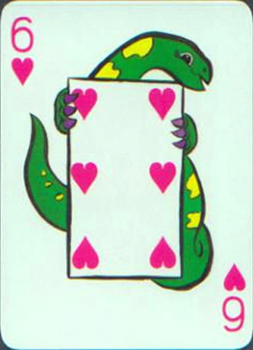 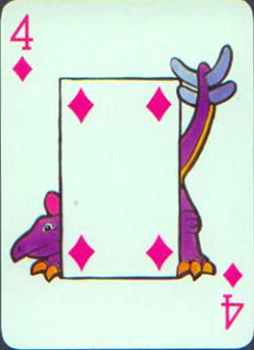 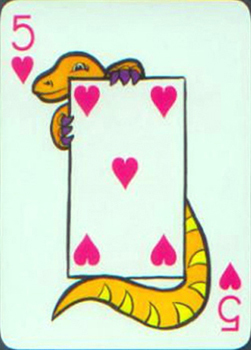 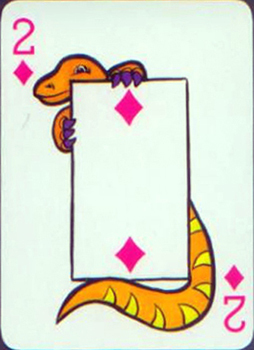 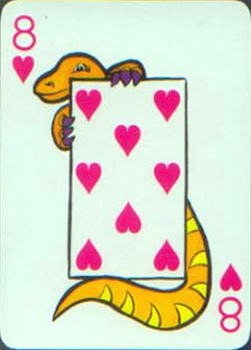 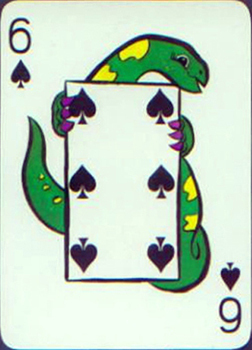 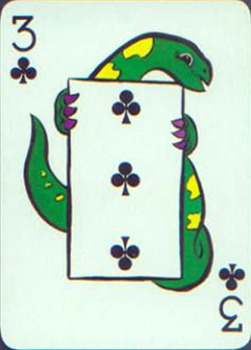 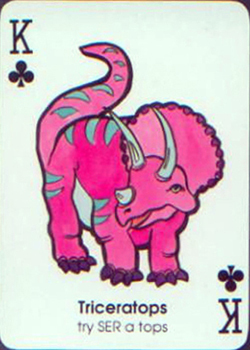 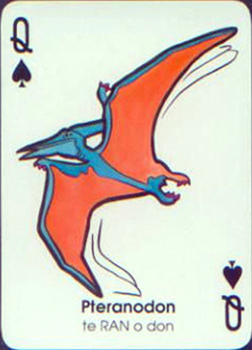 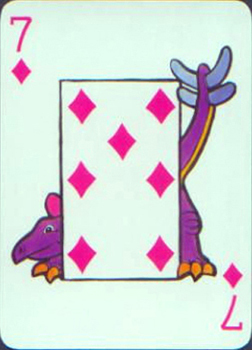 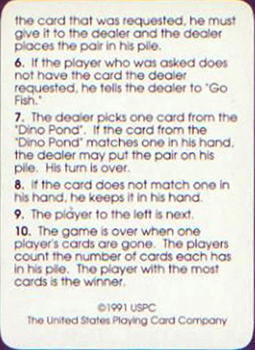 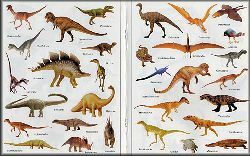 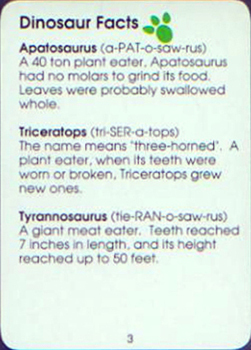 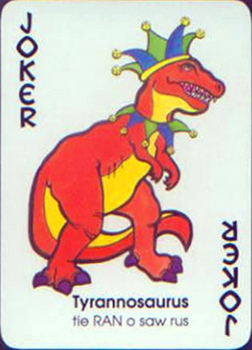 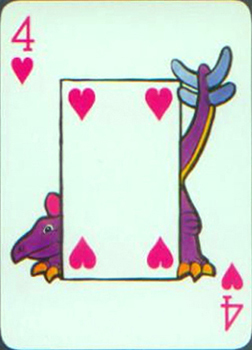 Size (Inches): 56 @ 3-1/2" x 2-1/2"
These dinosaur playing cards come complete with 52 playing cards, a 'Dino Go Fish' rules card, and a Dinosaur Facts card. 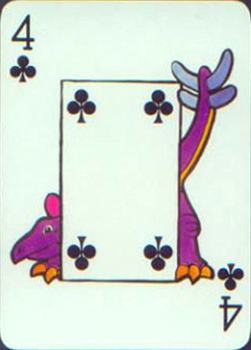 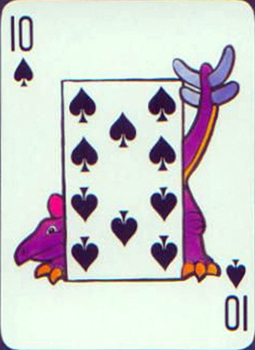 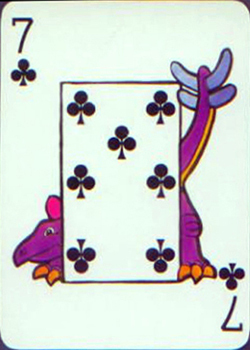 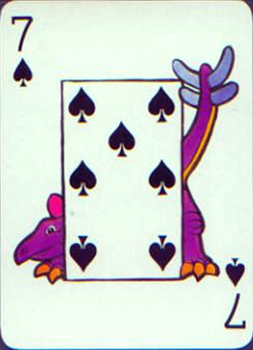 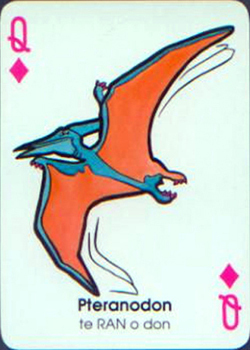 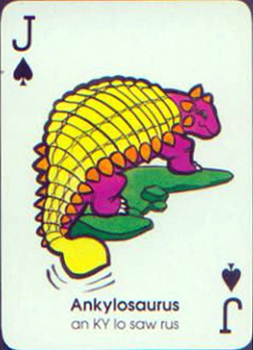 It's a little odd that only the face cards and jokers have the animal's name and pronunciation printed on them. 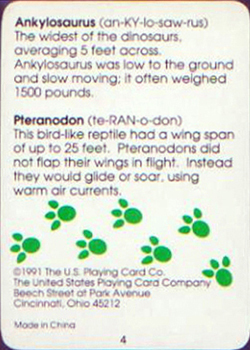 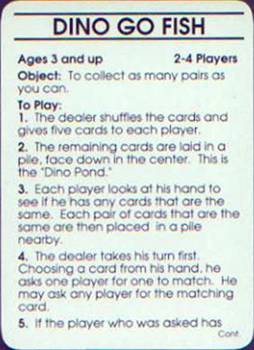 The rest of the cards just have a picture.